ANNIE SPENCER, MA Oxon, PGCE London, Dip IDHP, is a ceremonialist and workshop leader. Annie has been running groups and trainings for 30 years and with a background in humanistic psychology and earth-based spiritual traditions, she is skilled at moving between spiritual teachings and the disciplines of psychology. She works here and in the US and writes regularly. In the early ‘80’s a metis man found Annie in her homeland way in the far west of Cornwall. H introduced her to the teachings and practices of the First Peoples of North America. These teachings immediately resonated with her and their practice has been a part of her life ever since. She was apprenticed in a North American tradition in the ‘80s and has studied Mayan teachings from Guatemala for the past 11 years. Annie has undertaken ceremony at Macchu Picchu, sat sweatlodge in North America with elders from the Mi’kmaq and Ho Chunk Nations and has worked with Lorraine Mafi Williams, the Native Australian elder. Annie does not forget the traditions of this land and hopes to enliven and strengthen them with the teachings she brings from other ancient ways. A well loved storyteller, Annie brings alive the old myths of this land and enthralls us with tales from across the world as she creates magical spaces for change to happen. In 1997 Annie was invited to visit Romania to work with adolescents about to leave their orphanage. There she learnt how transforming time spent in nature can be for disturbed and angry young men. Since then she has been developing her work with young people and has been co operating on a programme of initiation for young people in the States for the past nine years. Annie is deeply committed to working with young people in a way that reconnects them with the land and instils in them a sense of belonging; that kindles their imaginations and sense of hope; and inspires them to look beyond the life they know in a creative way. Currently, Annie works with groups, runs vision quests and other rites of passage, and works with individuals, either creating individual ceremonies or helping clients heal by working with them on the land. Annie also takes adolescents out onto the land to find their home and remember who they are (www.circleofliferediscovery.com). As a teacher, Annie opens pathways for others – illuminating their life’s journeys. Her primary interest is the renewal of ancient ceremonial forms for creating a path of beauty upon Grandmother Earth. 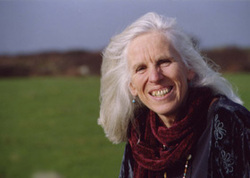 Cathy Shea has run workshops and trainings for over two decades. Cathy discovered Native American teachings in the mid 90s and these brought spirituality into the centre of her life. Being Irish by descent, she has long had a love for our Celtic Heritage and the two traditions have consistently fed one another on her journey. Cathy holds a deep love for our Mother the Earth and all that she provides. Roger Duncan, MSc, trained as a biologist, Waldorf educator, wilderness rites of passage guide and a Systemic Family Psychotherapist. He was one of the pioneer tutors of the Ruskin Mill Education Trust working for ten years as the woodland manager and setting up the wilderness experience and transition programs. He is former Deputy Principal and Head of Education and Therapy at Ruskin Mill College and currently works as a Family Therapist for Oxford Health Child and Adolescent Mental Health Service. Michelle has been following a medicine path for the last 15 years. She was apprenticed to a Chippewa Cree Metis storyteller throughout her 20’s and has recently completed a 5 year apprenticeship with Annie, focused on creating ceremony on these lands. Michelle also has a degree in Countryside Management and is a devoted environmental activist and campaigner, with a special interest in sacred activism. Ellie has completed a 5-year apprenticeship with Annie. With humility Ellie seeks to create ceremonies of beauty that resonate in the heart. In times of broken lineage, we are all shoots on old roots. Where our indigenous connections have been cut we seek a way to bring our self into good relationship with the Earth. Ellie’s passion is for creating healing ceremonies for the Earth and people and she is interested in crafts, storytelling and plant healing. ​Christiana is a shamanic healer, holds degrees as a Music Therapist, Breathwork Therapist, Beekeeper with a diploma in Women’s Consciousness, as well as a shamanic drum-birther. She has been working in the field of shamanic healing for almost thirty years. Her path is woven with Land and Song, through Tuvan shamanic initiation with deepening paths into the Spirit of Song: the keener, the healer, the birther, the journey-er, the stinger. Christiana is passionate about supporting and guiding people to find their path, heal, remember and re-connect with Mother Earth and all Beings. Visit her website: www.solavoima.fi.